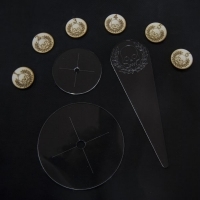 Die Schablonen sind aus stabilem durchsichtigem Kunststoff, der in der Verpack.. 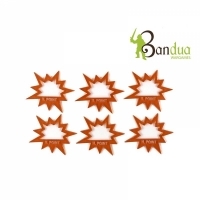 This pack contains:- 3 shooting Templates: Template with the logo of your fact.. 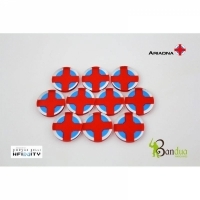 This pack contains: - 3 shooting Templates: Template with the logo of your fac.. 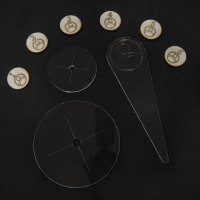 This pack contains three shooting Templates: - Template with the logo of your..
Tokens designed for your spacecraft games. 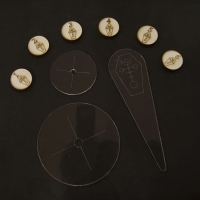 A pack that combines tokens to mark all vehicle states, such as Shaken or Imm..
Generic tokens to make your counts easy and quick. 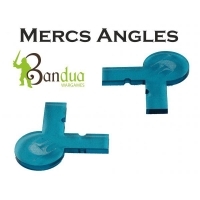 Lot of players mark their .. 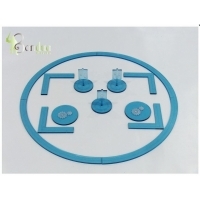 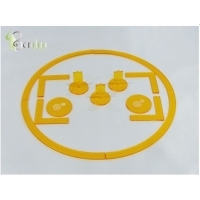 Designed to mark objectives on the play table, due to its vertical design and.. 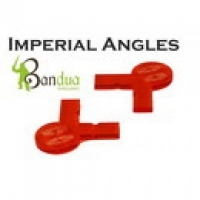 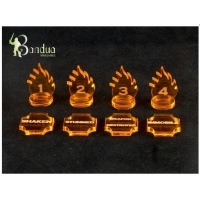 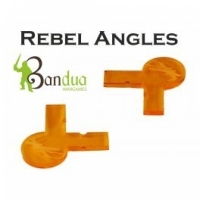 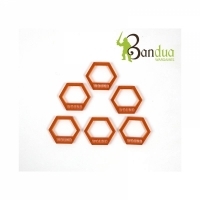 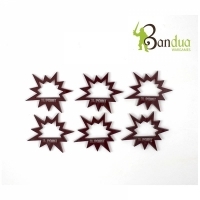 This tokens are specifically thought for Warmachine and Hordes, with which pl..
New references for our Space ships games accessories, these angles are made to.. 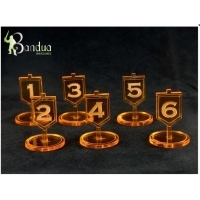 These tokens are designed to hang on the miniatures so you can always see how .. This pack contains 10 full-color tokens with the Aleph faction symbol, made in.. 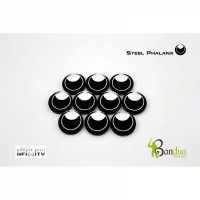 This pack contains 10 full-color tokens with the Steel Phalanx faction symbol,.. 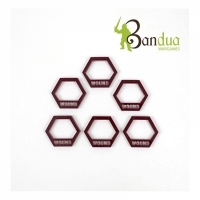 This pack contains 10 full-color tokens with the Ariadna faction symbol, made .. 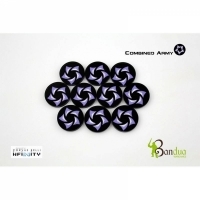 This pack contains 10 full-color tokens with the Combined Army faction symbol,.. 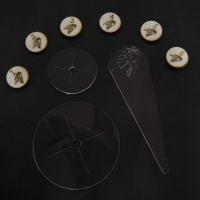 This pack contains 10 full-color tokens with the Haqqislam faction symbol, mad.. 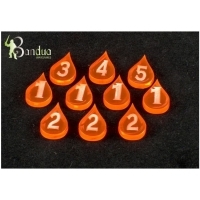 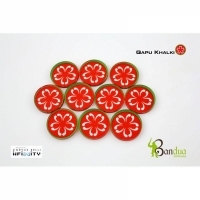 This pack contains 10 full-color tokens with the Qapu Khalki faction symbol, m.. 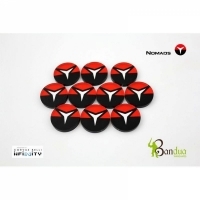 This pack contains 10 full-color tokens with the Nomads faction symbol, made i.. 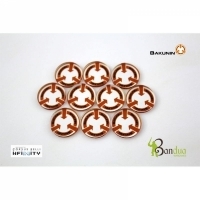 This pack contains 10 full-color tokens with the Bakunin faction symbol, made .. 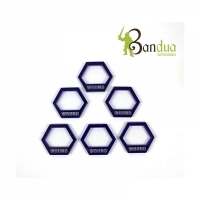 This pack contains 10 full-color tokens with the PanOceania faction symbol, ma.. 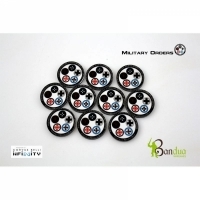 This pack contains 10 full-color tokens with the Military Orders faction symbo.. This pack contains 10 full-color tokens with the Tohaa faction symbol, made in.. 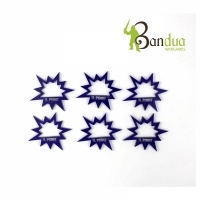 This pack contains 10 full-color tokens with the USAriadna faction symbol, mad.. 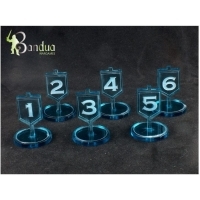 This pack contains 10 full-color tokens with the Yu Jing faction symbol, made .. 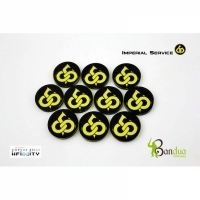 This pack contains 10 full-color tokens with the Imperial Service faction symb..